Hello everyone! I apologize for the lack of Sew Cute Tuesday posts the past couple of weeks.... 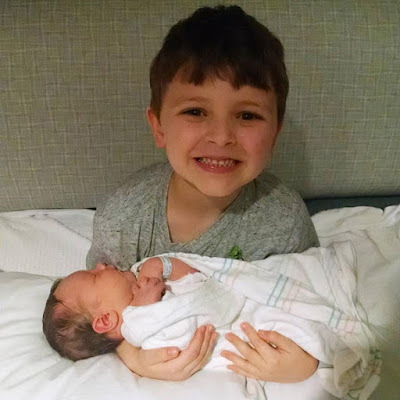 I've been a tad busy since our newest family member arrived. Samuel James was born October 13th, weighing 7 lb 11.8 oz, 20.5 inches long, and a full head of hair! We're all doing well, and I've even been able to do a tiny bit of sewing now that I've caught up a little bit on my sleep. Kate from My Ugly Duckling Projects (super cute blog name btw!) had this table runner in her UFO pile but she wasn't in love with it anymore. 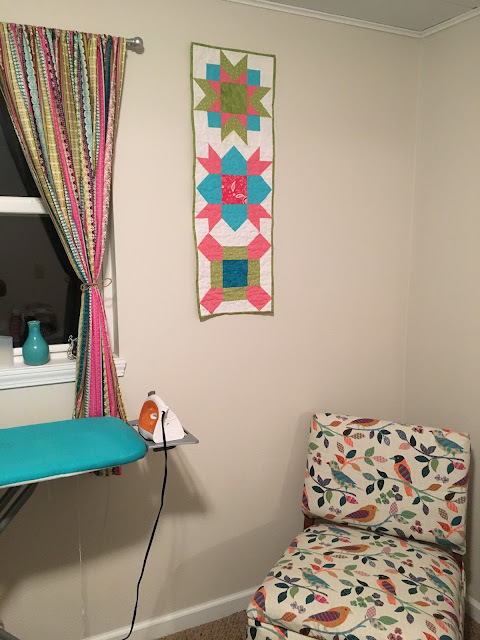 She decided to hang it on the wall in her sewing room as a mini quilt instead! 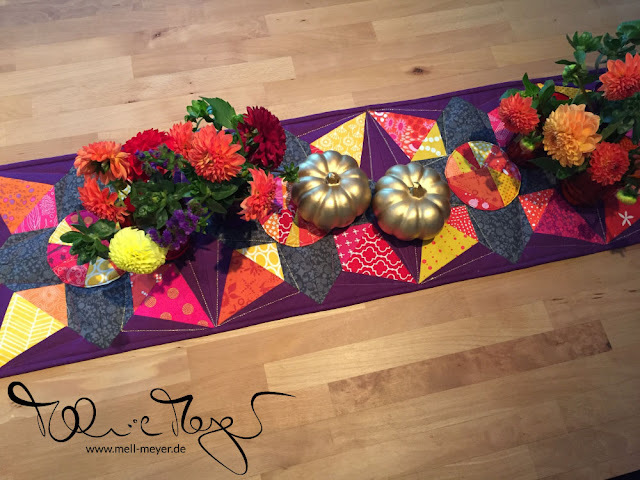 Melanie of mell meyer created this beautiful table runner with a new pattern by Allison of Campbell Soup Diary! Love the bold fall colors! Vicky of Veni Vidi Vicky Quilts made this darling baby quilt for a dear friend of hers, and she stepped outside of her comfort zone for the color palette. The transition from grey to green feels so natural! Today I am excited to share my finished Makers Tote. I joined the #makerstoteswap in August and I was so excited about the chance to make someone the Makers Tote pattern by Anna Graham of Noodlehead. I've had the pattern since it came out, and this was my first time making it. My partners questionnaire said she liked cotton and steel, warm colors, texture, and classic blocks like stars. 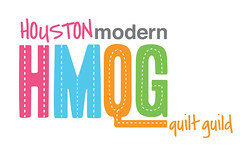 So I pulled fabric from my stash, made a quick stop at my local quilt shop Quilters Crossing for what I was missing, and then got to work. The first thing I did was paper piece the Create. and sawtooth stars. 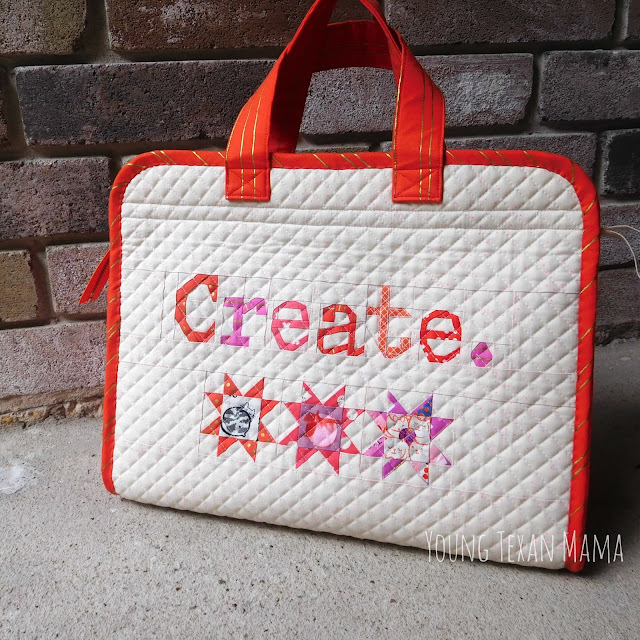 Create is a free pattern by Kristy of Quiet Play patterns. Kristy's patterns are some of the very first foundation paper piecing patterns I ever used when I started quilting 3 years ago, and they're still so wonderful. 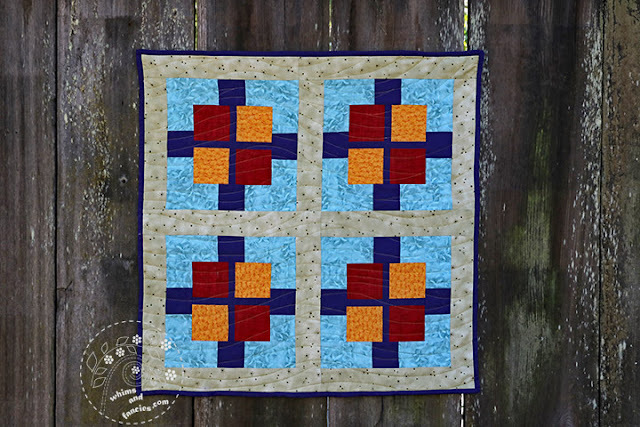 The stars are a free download from Generations Quilt Patterns, they finish at 3 inches across. My background fabric is Cotton and Steel Sprinkle in Jelly Bracelet and the other fabrics are from various C&S charm packs that I had in my stash. I pulled all the warm colors because that is what my partner said she liked. 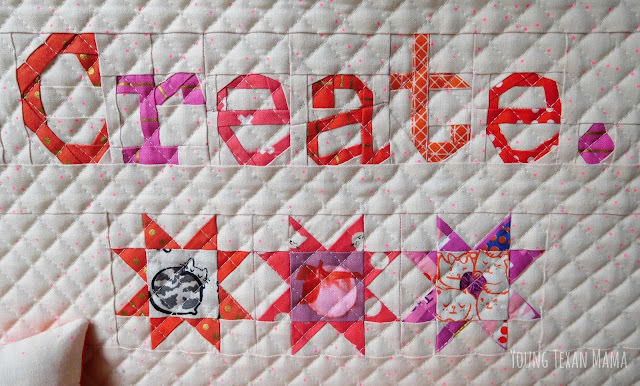 I love that the background fabric reads neutral from far away and then up close has the hot pink dots all over it! 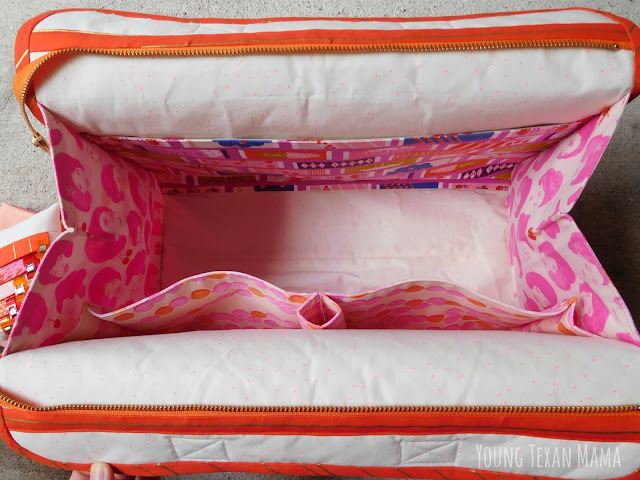 The pattern calls for a slip pocket on one side and a zippered pocket on the other. I decided to skip the zippered pocket and only have the slip pocket. This orange and gold striped fabric is fantastic, and I love that the person who made my makers tote used the pink version of it! Another part of the pattern that I slightly changed is the exterior construction. Anna has you simply baste your exterior panel onto the soft and stable, but I decided to quilt it in a crosshatch pattern. This took more time, but I LOVE the texture it created and I feel like it made the bag a bit sturdier to stand up on its own. 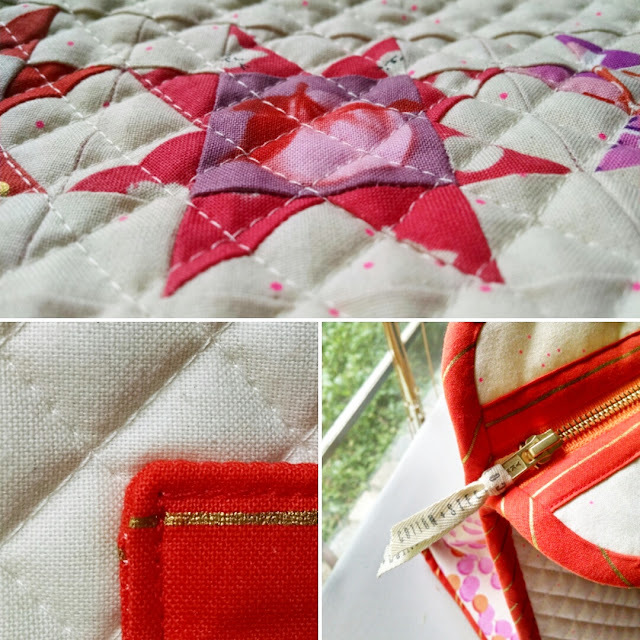 I used Aurifil 50wt thread in color 2311 (my favorite neutral) for the quilting. The only issue I ran into with quilting was that it caused the bag size to shrink slightly. Instead of being 33 inches across, it was only 32.25 inches, so I had to slice off a little of the side gussets to make sure there was plenty of room for the zipper. I used the same Sprinkle fabric for the interior of the bag. I'm personally a fan of light colored bag interiors because it makes it easier to find things when they fall to the bottom. The pockets are various C&S prints in the same color scheme as the piecing on the outside of the bag. 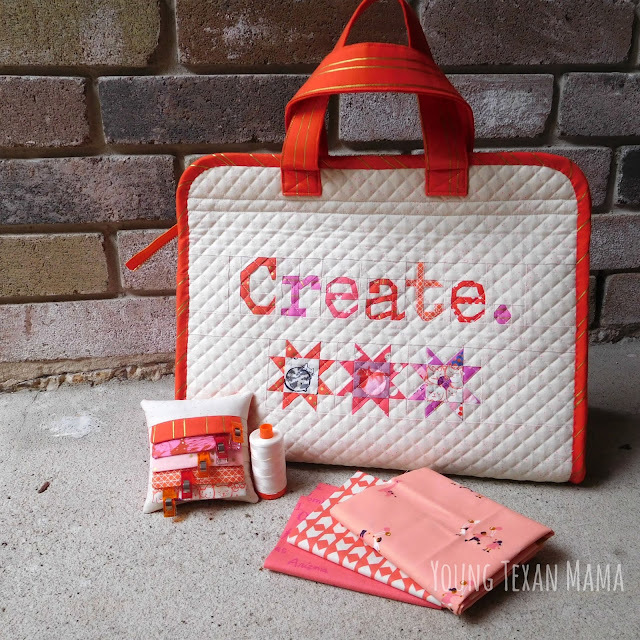 I made a wonder clip cushion and sent a spool of my favorite Aurifil for two of the extras. 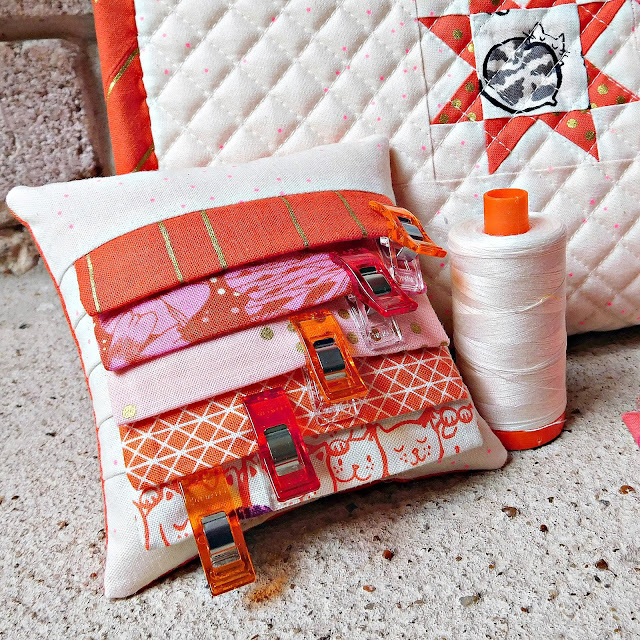 The wonder clip cushion is a tutorial by Squeeze Quilts. 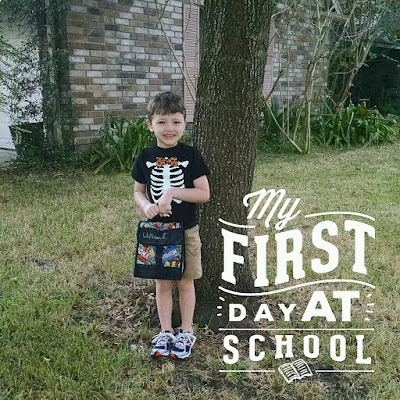 It came together really quickly, and I was able to use scraps that I had leftover! I absolutely adore how this bag turned out, and it was totally worth the few cursing sessions that happened due to awkward bulky seams. I am so happy with my Janome 8900 and how well it handled all the layers. I didn't have any skipped stitches and the walking foot was my best friend during most of the construction. Now I'm off to cross a few more things off of my to-do list before baby boy arrives. It's looking like my Doctor is going to schedule and induction for me sometime next week! I'm super excited but also anxious because I have several things to get done (both sewing related and not) before that happens. Happy Tuesday friends! I hope everyone had a fantastic week last week. I didn't get much sewing done last week because my mom was in town helping me get the last few things ready for when baby boy arrives, which I'm hoping is sometime this week! I was able to finish up my bag for the #MakersToteSwap, and will have a full post about it tomorrow or Thursday. It's currently in transit to my partner, and I want the final bag to be a surprise. Here are a few sneak peeks at what I made for her. The pattern is the Makers Tote by Noodlehead. 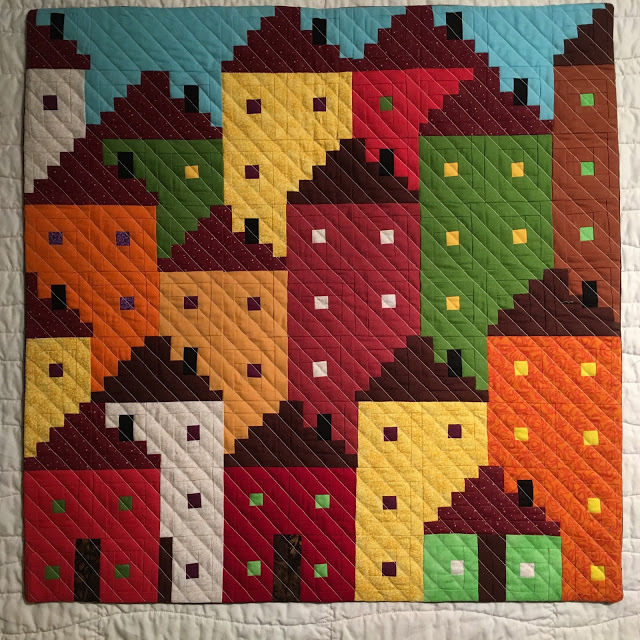 Lori of Crossquilt recently finished this lovely mini quilt for the #quietplayswap that is happening on Instagram! 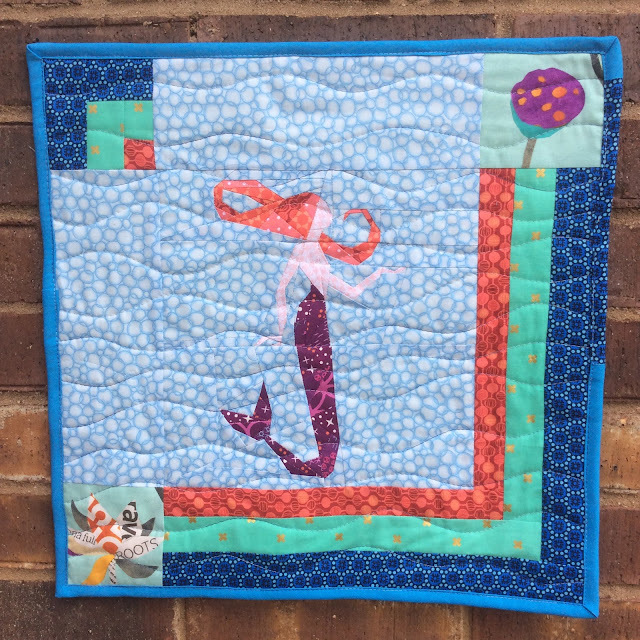 Sew Preeti Quilts shared this beautiful quilt that she entered into the Bloggers Quilt Festival! 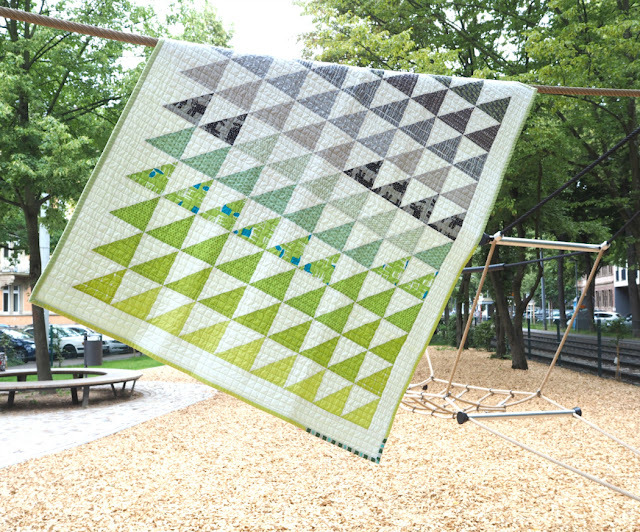 Finally, Soma of Whims and Fancies shared this awesome geometric mini quilt. Now it is time to link up your finishes or works in progress from the previous week! 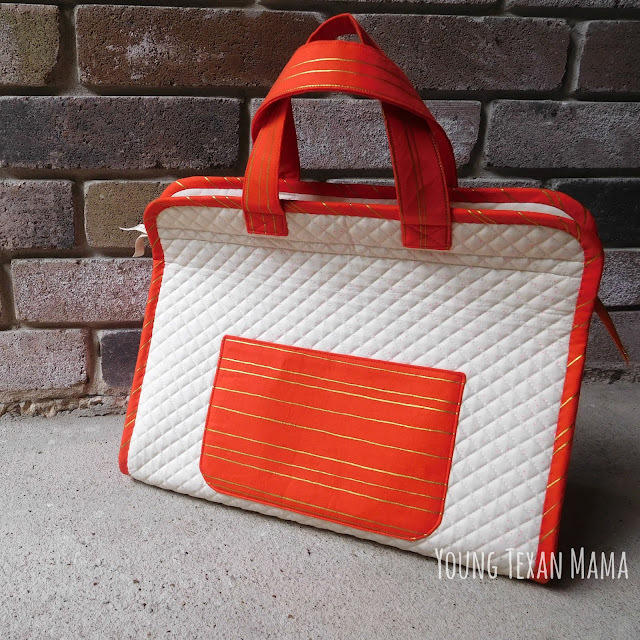 You can link up directly from Instagram as well - be sure to tag #SewCuteTuesday and @youngtexanmama on IG so we can see what you're working on!